The Nurit 8400 is the ideal countertop device for all businesses that require flexibility and high functionality. 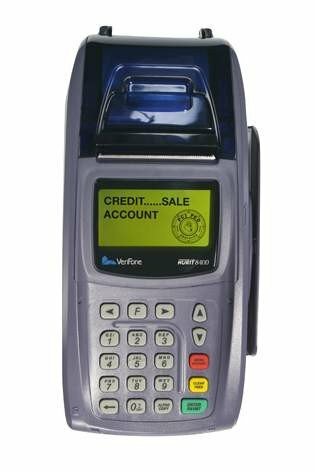 This credit card terminal is equipped with a range of communications options, including high-speed dial, Ethernet LAN and GPRS, and it includes a variety of connectivity configurations, such as optional USB host/client and additional RS-232 ports. Adaptable and customizable, this POS device is compatible with all kinds of businesses. This terminal accepts all sorts of payments, including NFC/contactless, so it can perform well under any circumstances. Its user-friendly functions extend to a 20-key ergonomic keypad, a backlit LCD display screen and multi-language support capabilities. With the Nurit 8400, you can be sure of an enhanced transaction experience, and as a result, increased customer satisfaction. It is also PCI, PED and EMV approved, making it the secure and convenient solution. The Nurit 8400 provides numerous options for even greater functionality, including an increased memory, backup battery and SAMs and SD/MMC sockets. Business owners can tailor the transaction process to fit their needs and desires, giving them full control over the entire operation. At Firemane, we sell new and used Nurit 8400 POS terminals. We sell in bulk to resellers all over the world, and we offer a 12-month warranty on all new and refurbished products. If you’d like to enquire about any of our new or used POS equipment, get in touch.